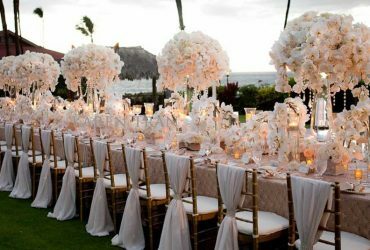 The tradition of giving wedding favours as gratitude gifts to the guests at a wedding has been finding renewed expression in modern-day weddings event. The tradition of giving wedding favours to the guests is a century old tradition and has its roots in 13th and 14th century Europe, when the aristocracy exchanged sweet gifts within specially embellished small boxes for the purpose. The first wedding favour gifts were essentially sweet as guests were treated with grains of sugar in the embellished boxes (sugar was considered very precious). The tradition of giving sweet gifts at a wedding to the guests then gradually converged to a tradition of giving away sugar-coated almonds or confetti’s as gifts. In fact, the precise tradition was to wrap 5 such confetti’s as a symbolic gesture of health, wealth, happiness, fertility and longevity. Sweet eatables are still very popular as wedding favour gift items. Many wedding receptions also prefer a candy bar counter for the purpose. The sweet treats at a wedding are especially popular with the children. However, the parents of the children seldom show any disinclination for the candy gifts as well. Children are always very special guests at the wedding and special children themes like Alice in Wonderland theme can be opted as a wedding favour idea. Another such simple wedding favour idea is the idea to give away exotic flowers (maybe placed in a bud vase) as wedding favour gifts. 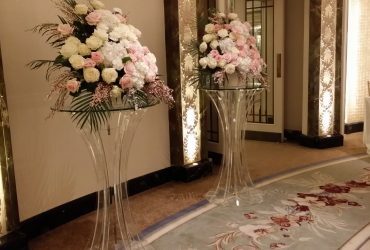 Flowers are amazing mediums of communication and they are the best expressions of showing love and gratitude to the special people who are attending the wedding. With more and more prevalence of theme weddings, themed favour gift ideas are also finding more acceptance in the reception arena. 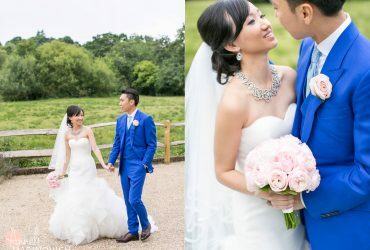 Though, seasonal themes like the autumn wedding favour theme, the spring wedding favour theme and the winter theme are most conventional, yet special themes like the black and white theme, the Asian wedding theme, the Indian/Pakistani wedding favour theme are also supported by matching wedding favour gifts. 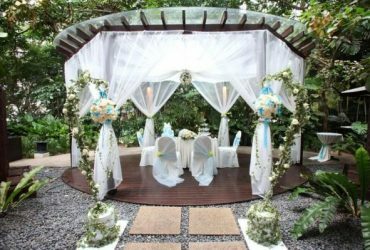 The eco-friendly theme is another theme that more and more couples are selecting as their wedding idea. Another important aspect of wedding favour gifts is that they can be personalized for the ceremony. The personalization of wedding favour is a very special gesture to show your gratitude and appreciation for the special people at the ceremony. The special friends at the occasion, the parents of the bride and groom, the priest and the bridesmaids and the groomsmen and the flower girl and the ring bearer are the special candidates for a personalized wedding favour gift.